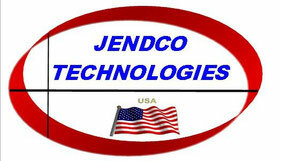 Products and Services - Website of jendcotec! to follow a link directly to their web site. BOTRON CORPORATION INC. The leader in Advanced ESD Safety and Static Control Technologies. We have all the static control products you need to outfit your facility and create a static safe environment. We feature the Elite Brand of testing equipment for all your ESD requirements. COBAR: World Class leading manufacturer of solders, Fluxes, high-quality anodes, alloys and wires for the electronic industry. Work Chambers, Dust Collectors, Conformal Coating, Varnish and Contamination Removal. 100% American Made. Innovative Microscopes: Providing High Quality & Economical Microscope Solutions. Our Digital Microscopes are designed and Manufactured in the USA. JNJ INDUSTRIES: The Industry Standard for Production Supplies Cleaners, Chemicals, and Wipes for the Electronics, Medical, Military and Many Industrial Industries.100% American Made. See what you are missing without destroying it. PACE WORLDWIDE INC Well Over 60 years of Soldering / Desoldering Innovation. 100% American Made. The right assembly and rework equipment for the job. Tronex Technology INC The Leader in Cutting Technology for over 25 years. 100% American Made in Fairfield, California. Drop Forged Cutters and Pliers for the American Worker. The original Precision Tools Designed for Cutting Excellence.